Secure, individual access for anyone in your organisation. Business class email, calendar and contacts on Exchange Online with a large 50GB mailbox per user. Access your information anywhere you have an internet connection. Documents and file storage with 1TB storage per user including online versions of Word, Excel and PowerPoint. Mobile access for your smartphone and tablet. Skype for Business provides instant messaging, presence, video conference calling and online meetings. 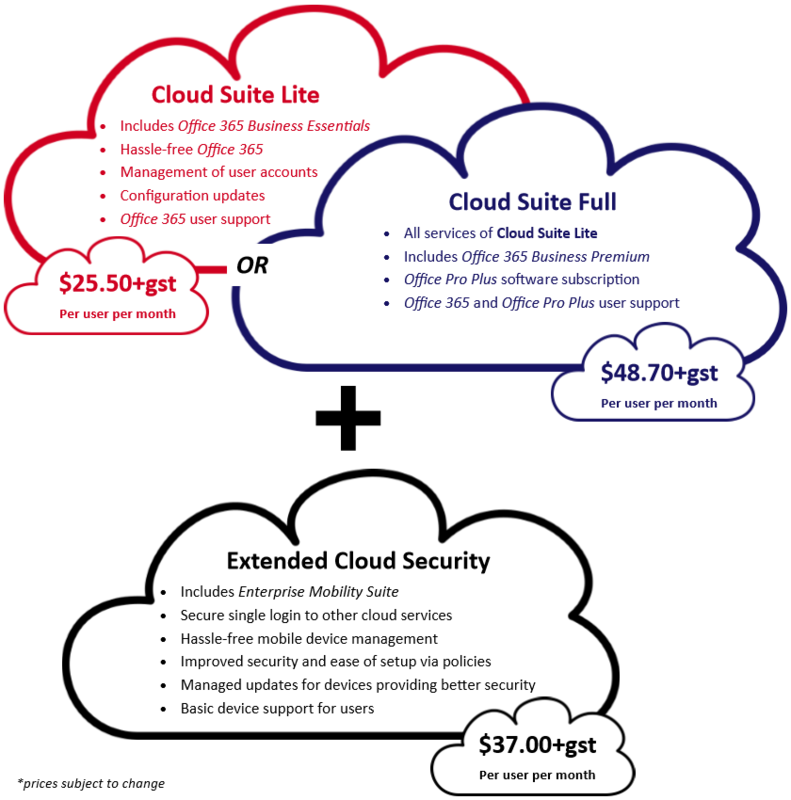 A fully managed cloud service which means you can have peace of mind knowing that things are all taken care of. Direct support for end users via email and Skype for Business so your staff have access to professional expertise. 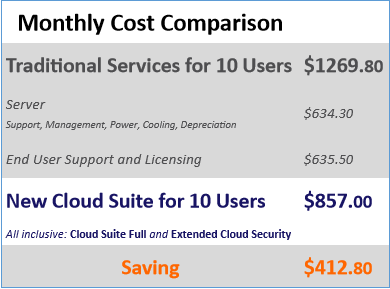 Contact us for more information about Softpro’s Cloud Suite.